I just sent you a donation because your last newsletter sent me down memory lane. 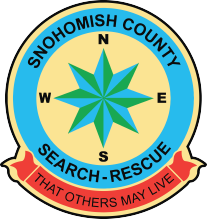 About 60 years ago, I was a member of Explorer Search and Rescue, a bunch of teenage kids that assisted Mountain Search and Rescue and police agencies with searches and other activities. For example, my explorer post had a home built kitchen that was pulled with an army surplus Dodge power wagon. We cooked cinnamon rolls, scrambled eggs, meatloaf, and gallons of coffee for the searchers and we also participated in ground searches. And yes, I remember a couple of 3 AM turnouts. I don’t have the physical capacity to do that anymore, but I can’t tell you how happy I am to know that someone is still out there helping. Merry Christmas and best wishes for the new year.